Thank you for all your sweet comments yesterday and for visiting my guest post over at Flip Flops & Pearls! Today I wanted to share a recent find with you. I have always loved Urban Outfitters--they have really cool statement pieces for your wardrobe that are usually pretty affordable. This summer I've really cut back on my shopping though, so to fulfill my addiction I've taken to what I like to call "Online Window Shopping"--perusing websites and picking out things I'd love to have! The other night while "window shopping" I decided to check out Urban Outfitters's "Apartment" Section. Since I'm living from home while I finish up my Master's, I definitely do not have any room for home goods, but a girl can dream, right? 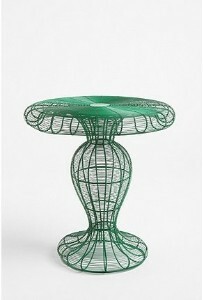 I think this would be perfect for a screened-in porch! 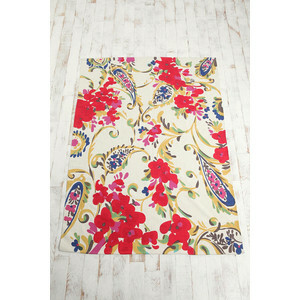 Wouldn't this rug be cute in a little girl's bathroom? 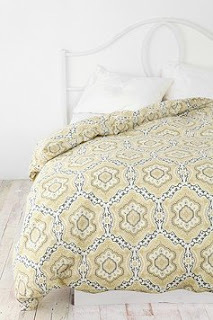 I love the simplicity and subtle chic-ness of this bedding.. 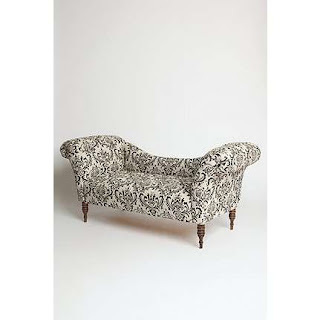 I would totally accessorize this with some pink or turquoise accent pillows. In case you were confused about this bucket's usage...it's spelled out for you! I'm obsessed with this...enough said. I love everything about this rug! Having grown up in the South, deer heads are a must! 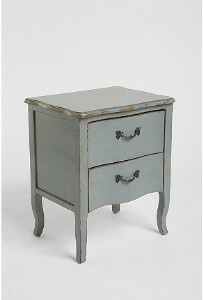 I'm loving the distressed antiquey look of this side table! Something about this duvet cover just brings a smile to my face! Are you a fan of Urban Outfitters? Where are some of your favorite places to buy things for your home? Who would've thought that Urban has such cute apartment stuff?!? I had no idea that Urban had all this cute apartment stuff!! Super cute finds! Maybe I will have to visit Urban when I finally move out from my parents! 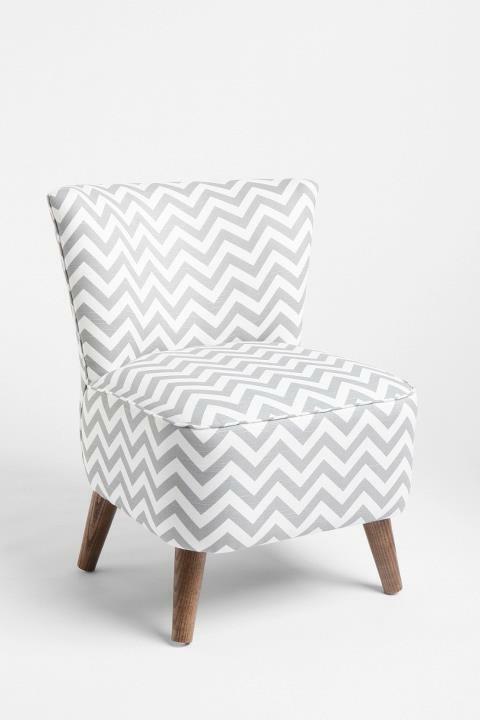 I just love that chair!! Urban has some great finds and such great prices!! 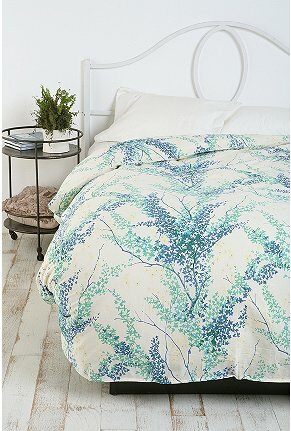 I love Urban Outfitters and love that last duvet cover! Oh my, I shouldn't have looked at this. I want everything you've posted especially that chair and "fainting sofa" not to mention those knob curtain tie backs. I love Urban Outfitters. 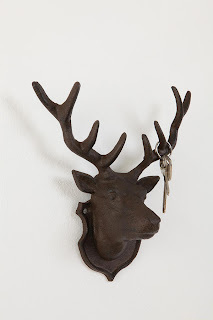 I love their apartment decor and they have some really clever and funny bathroom accessories as well! I love that they have such unique stuff as well!! I love your pics....you've got a great eye. My favorite piece is the bed spread. I love bed spreads that will be timeless and versatile....like you could totally use that in a guest room once you get married! Everything here is great! 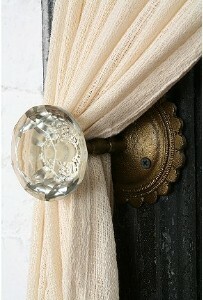 I especially love the idea of using a doorknob as a curtain holder. I'm sensing a DIY project in my very near future! Such lovely things. I didn't know this was the last week with the cuties. So pretty!! I like it all!! I had no idea they had home items - all of those are fabulous! Oooh I love that chair and that first comforter!!! I absolutely love the Antoinette Fainting Sofa! That print is so cute, and would go with so much. Love Urban Outfitters! I use their knobs as necklace holders. Urban has such great home decor! I've seen that chair all over the internet and seriously lusting after it! Very gorgeous! Urban Outfitters has come a long way. 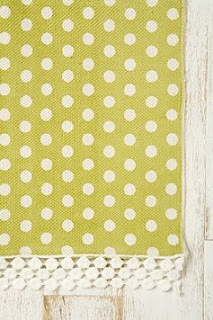 I used to mostly see indie and hipster looking decor, but now a lot of their stuff is resembling that of Anthropologie. Very pretty pieces! Have a great weekend. LOVE.ALL.OF.IT!!! I would like one of everything please. Love Urban Outfitters!! !